SAFC speak to Hull Favourite? 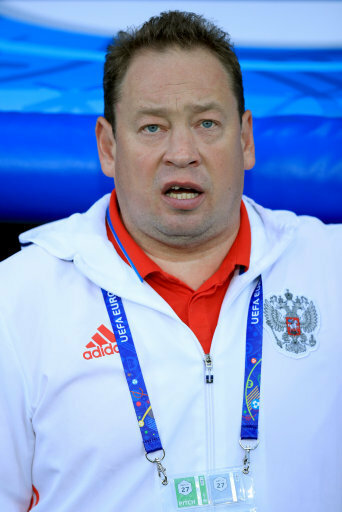 News out of Hull that claim Sunderland club officials have already spoken to Hulls managerial target Leonid Slutsky. Which is a completely new name in the running from what is currently being reported in the media and on gambling sites. Sunderland’s favourite is Derek Mcinnes, who is currently in charge of Aberdeen although nothing official has been revealed other than Sunderland wanting a manager in place before the players return. Slutsky who was a Russian born goalkeeper had a very short playing career, having sustained a knee injury at 19 years old and retiring. Since then he has gone on to coach at a host of Russian clubs, most notable guiding CSKA Moscow to the knock-out stages of the Champions League. Having a stint at running the Russian National side, taking over from Fabio Capello and getting Russia to UEFA Euro 2016. Hull’s local paper have ran with a story reporting that the Slutsky remains a favourite to join Hull even after speaking to Sunderland officials.